Arfa Karim Randhawa, the world,s youngest Microsoft Certified Professional (MCP) loses the race of her life today 14 Jan in Lahore. 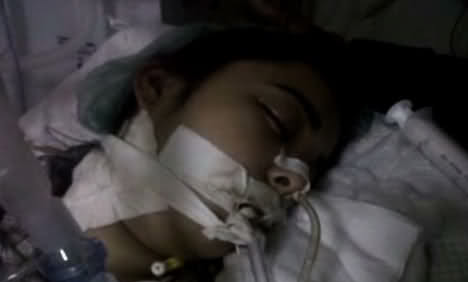 She was admitted in the Combined Military Hospital on 22 December 2011 and was since on ventilators and doctors had very little hope for her survival. At one stage, on 29 December doctors were of the opinion to switch off her ventilator as they did not find any visible signs of recovery. But from then on she showed some signs of life and everyone hoped of her revival. She showed the Plantar Reflex when her foot was stimulated as late as yesterday and her toes curved slightly downward when her foot was tickled. She is also said to have blinked her eyes a few times. But today was the sad day when she breathed her last at 9:50 PM (Pakistan Standard Time) at Combined Military Hospital (CMH) Lahore. A genius in the making is now on her way to eternity ... may God bless her soul. Ameen.